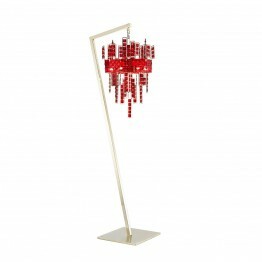 Metal frame and metal leaves available in the following finishes: – pure steel – light..
Bamboo Suspension 497/12Brand: LUCE DA VIVEREMetal frame available in:– chrome finish– 24kt gold pla..
Charleston Suspension 566/5Brand: LUCE DA VIVEREMetal frame available in:– aluminium– light gold– bl..
Charme Table Lamp 601/1LM Brand: LUCE DA VIVERE Metal frame available in: – copper..
Cocoon Floor Lamp 586/1LG Brand: LUCE DA VIVERE Metal frame available in: – copper..
Cocoon Suspension 586/4S Brand: LUCE DA VIVERE Metal frame available in: – coppery..
Crystalline Floor Lamp 493/6P Brand: LUCE DA VIVERE Chromed or light gold metal frame. 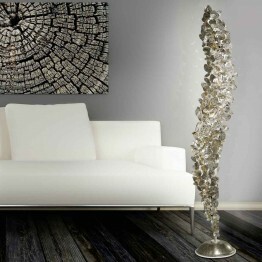 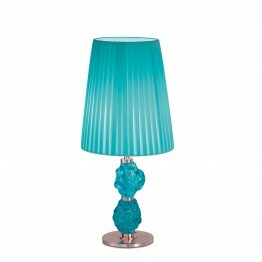 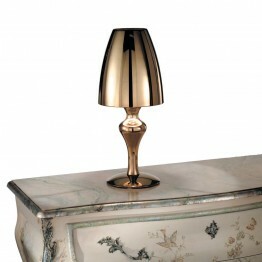 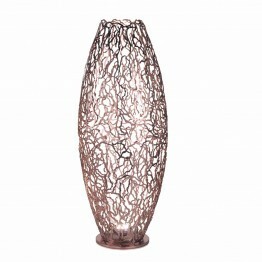 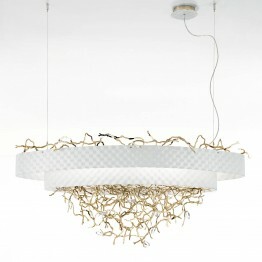 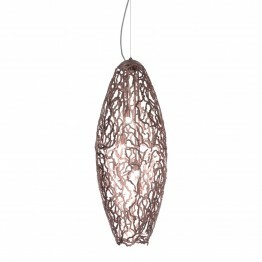 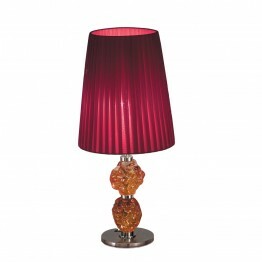 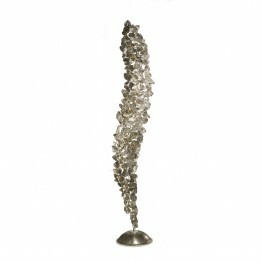 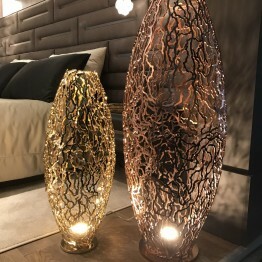 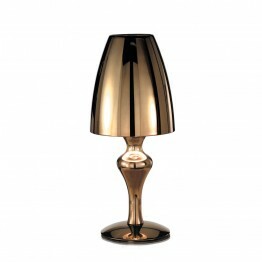 C..
Divina Table Lamp 439/3L Brand: DOLCE VITA Metal frame, available with chrome or light gold fi.. 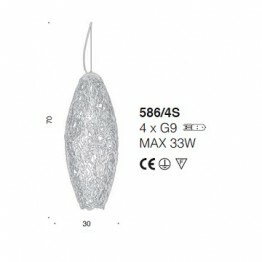 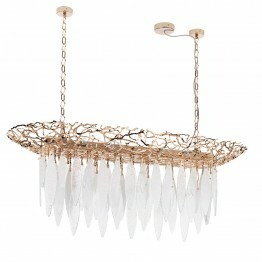 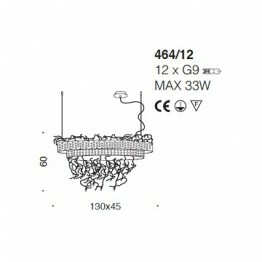 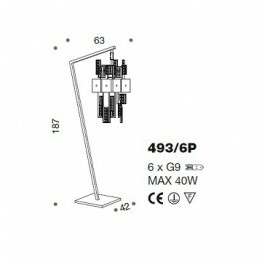 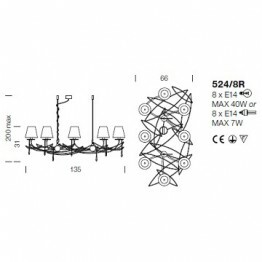 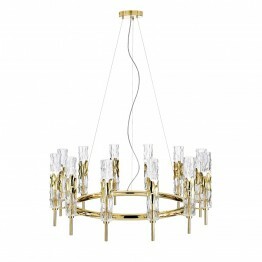 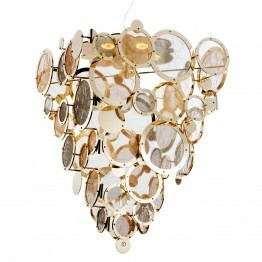 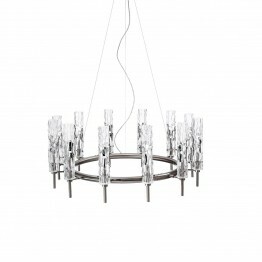 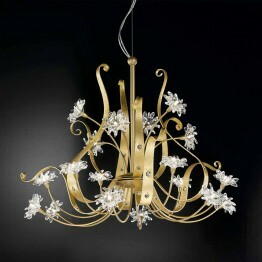 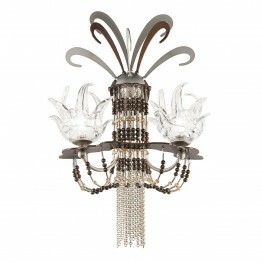 Exotic Wall Bracket 450/2A Brand: DOLCE VITA Metal frame available in chrome, light gold or ma..
Flame Chandelier 524/8R Brand: LUCE DA VIVERE Metal frame available in the following colour.. 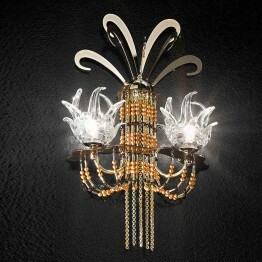 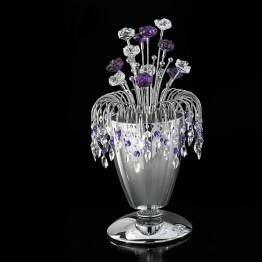 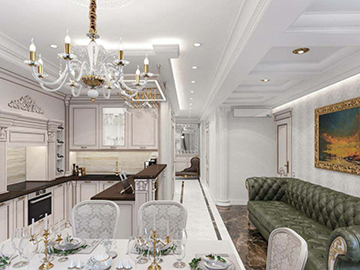 The collection “Fosca” is inspired by a baroque style, reinterpreted totally in modern. 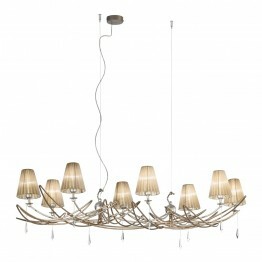 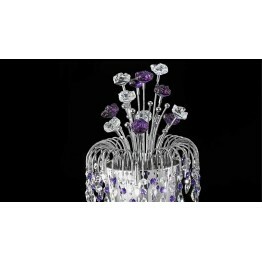 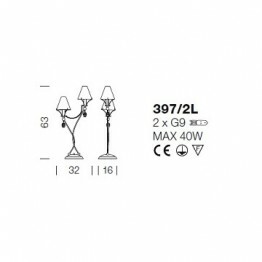 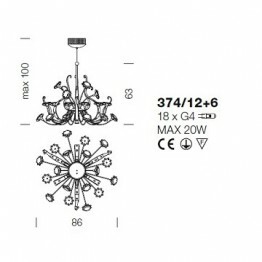 ..
Girasole Chandelier 374/12+6 Brand: LUCE DA VIVERE Metal frame available in the following c..
Glamour Table Lamp 462/1LGBrand: LUCE DA VIVEREMetal frame available in:– pure steel– black nickel– .. 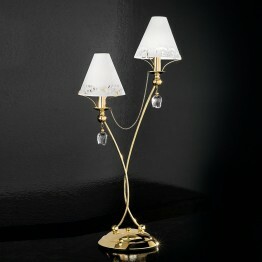 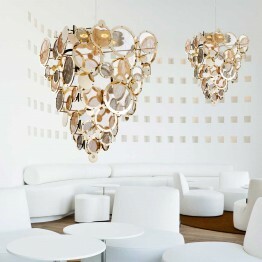 The collection is available in the following colour combinations: – velvet white band and pure steel..